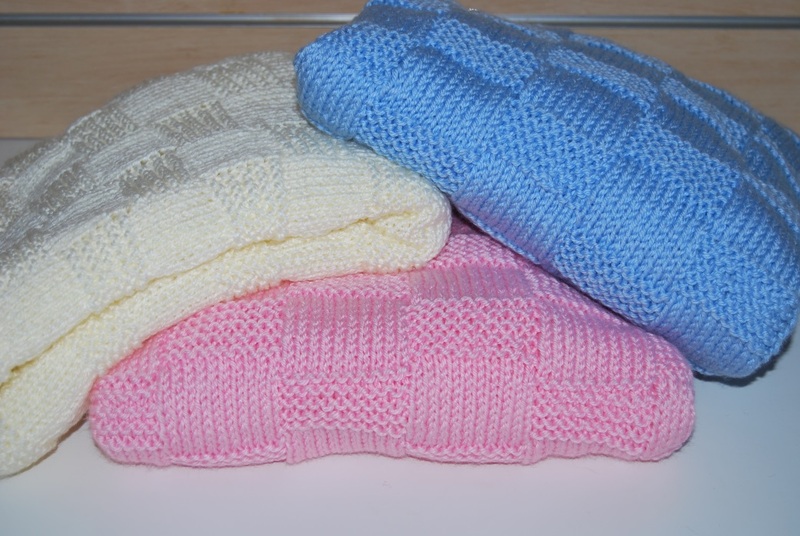 To make this blanket, you will need approximately 500 grams of 8 ply (double knit) yarn. The knitting stitch pattern is a 10 stitch garter stitch check and it has a 5 stitch garter stitch border. I used Panda Magnum Soft 8 Ply or Marvel Soft 8 ply for my blankets, but any reasonable quality 8 ply will do. Usually, I prefer to knit with natural fibres but for baby blankets I compromise and knit in acrylic or acrylic/nylon mixes to make washing easier for new mums. You will also need a pair of 5.00 mm single pointed knitting needles. However, you may have to adjust the needle size if your natural knitting tension does not match (or at least come close to) the tension specified below. A knitters sewing needle is also handy for sewing in loose ends where you have joined in a new ball of yarn. 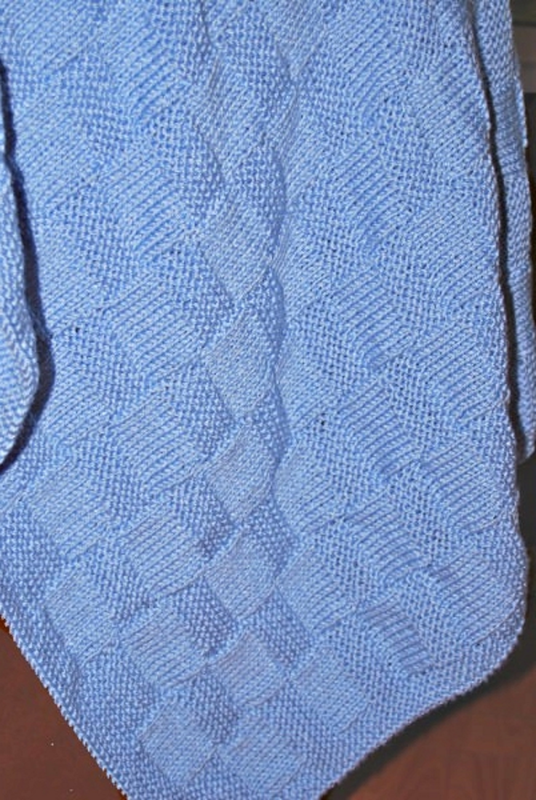 The baby blanket is quite easy to knit, as you can see from the photo further down the page, I have knitted several of them in different colours. The pattern is just interesting enough so that I don't get really bored but simple enough that I don't need to concentrate to much while I am knitting. The finished size of this blanket is approximately 80 cm wide by 120 cm long. To achieve that finished size, your tension needs to be 16 stitches and 23 rows per 10 centimetres. You can find out more about knitting tension squares on my page on how to knit a tension square. 11th row: Knit across the row. 12th row: k5, *p10, k10, rep from * to last 5 sts, k5. Repeat the last two rows another 4 times. 21th row: Knit across the row. 22th row: k5, *k10, p10, rep from * to last 5 sts, k5. The last 20 rows complete the pattern. Continue working in the pattern as set until work measures 115 centimetres. 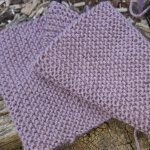 Just in case you would like to print out a copy of this Garter Stitch Check Baby Blanket pattern, I have created a pdf version of it that you can download.